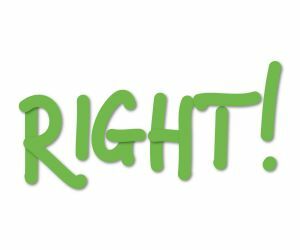 That’s RIGHT – hire the right writer! Hiring a professional writer is a smart thing to do; hiring the right writer for your project is even smarter. Am I the right writer for you? Reading this blog is an effective – and hopefully enjoyable – way to find out. I’m as unique as any other writer. I bring my own style, personality and ‘way with words’ to every project I take on. Like an artist’s unique brushstrokes, I paint a word picture in a way that is mine alone. My experience has familiarized me with the tools and techniques of my profession but when you choose me, you’re hiring my heart and spirit as well as my talents. That’s why I feel it’s important that you know as much as possible about the way I approach writing; my philosophy, workstyle and ethics. Not only that I have them, but that they influence and enhance what I offer to you as a client. This blog expresses the ‘personal side’ of my website and my business as a whole, making public some of the inner-workings of this writer. By sharing my thoughts about what I do, how I do it and why, I hope to provide the information you need to determine that I’m the writer for you. I am empowered to perform at the peak of my ability when I understand and am understood. The craft of writing is so much more than simply putting words together. Many people have agonizing memories of writing reports in school; how putting their thoughts down clearly and concisely into words was an unpleasant, awkward ordeal. Their discomfort with the process of writing remains throughout life, erecting a barrier between what they know and what they can eloquently express in writing. I, on the other hand, relished any opportunity to write. It afforded me the opportunity to organize information, assess it and ultimately present it in a meaningful way. It’s a particular talent that I’ve embraced and honed throughout the years. I proudly – and enthusiastically – offer my writing prowess to my clients. Yes, as a writer, I adeptly take on those roles, crafting and delivering the kind of written content that best expresses your message. This blog will inform you about me and my professional passion. You’ll discover that I love my job and every opportunity to exercise my writer muscles. Upon experiencing the ways in which I put words together to describe, explain, delight and inspire, I hope you’ll contact me for your writing needs. Enjoy reading my professional insights here and remember the most important thing when choosing someone to tell your story: Hire the right writer! I would love the opportunity to use my talent to help you express your information in precisely the right words with exactly the right tone. I am confident that together we can craft your message in your unique voice with genuine style. With my words expressing your ideas, we'll make an unbeatable team! I relish any chance to sink my teeth into subjects of interest to your readers. I am adept at interviewing experts and researching topics thoroughly. In addition, I excel at the "narrative non-fiction" genre, writing straight from my heart with insight and expression. Experience me elsewhere on the web! 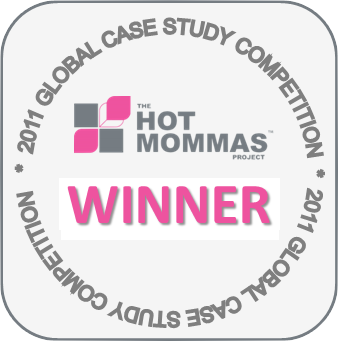 I’m a Hot Mommas Project Winner! Copyright © 2019 WriteyTidy All rights reserved. Amazing Grace theme by Vladimir Prelovac.